“It’s been a wonderful experience. The renovation was completed without a hitch. I had new granite countertops installed in my kitchen (Aug. 2014) by Complete Source, and I am thrilled with the results. Steve Ferguson, owner, gave a reasonable bid that met our budget limitations. The three referrals he supplied gave glowing recommendations. I was most impressed with the following: 1) Steve responded quickly to my calls and texts. 2) The job was done quickly. The only hold-ups were from me - choosing granite, waiting for a sink to arrive, and them scheduling around my own busy schedule. 3) Everything was done professionally, from the Sales Contract to "Paid-in-Full Invoice" all done on-site from his iPad. There were no surprises. 4) After the sale, Steve personally came out to show us how to care for the cabinets. He polished the whole countertop for us and recommended long-term care products. You could tell he loved his job. I highly recommend Complete Source. K.J. Williams K.J. 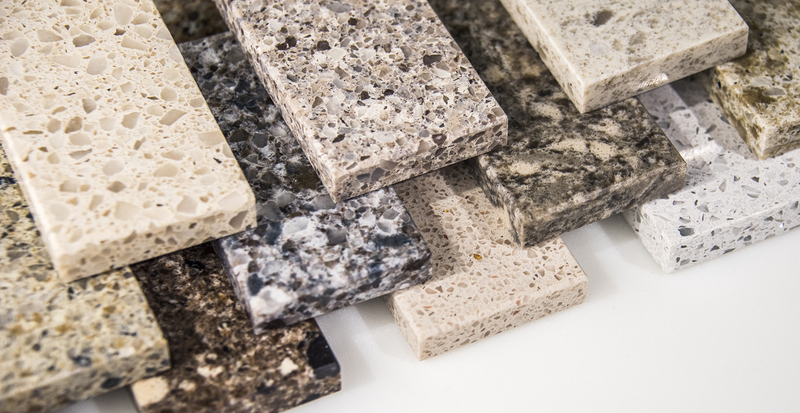 Complete Source Countertops is here to manage your entire countertop remodel. Contact us for a FREE estimate for your commercial or residential design project.